Due to the violent nature of combat robotics, it is recommended that parts are constructed of the strongest materials possible. The standard cast aluminum part works well for the average hobbyist, but if you’re planning to beat the best, this accessory is a must. The mounting holes of the standard plate have been known to crack under extreme impacts, and this heavy-duty plate solves the problem. 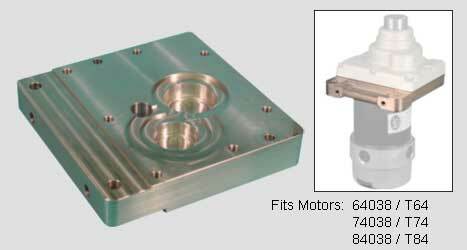 Milled from 6061 aluminum to the exact dimensions of the standard part, including mounting holes. If you’d like, add additional holes to fit your design. Weighs 1 lb. more than the stock part.